When you get together with your family do you ever encounter an older relative who theoretically deserves your respect but on the other hand loses any deference you might have given because of what they say or how they act? Maybe it's the crazy uncle in the corner who, upon seeing that you are temporarily not busy, wants to share his grand unified theory with you on how "THEY" are behind all the world's problems. Or maybe it's the loony cousin who only stops by at family gatherings to drop off her kids for some free babysitting while she goes out to party. Or perhaps it's the in-law who is just about to start up on his favorite anti (insert ethnic group here) rant and sees no reason to stop just because your date for the evening happens to belong to said ethnic group. Often times when people are our family we give them a bit more leeway to say or do things which we would automatically and fiercely oppose were other people to say or do them. That's human nature I guess. All the same sometimes even family can step over the line and need to be checked. I think that Michigan Republicans probably can relate to that necessity right about now. 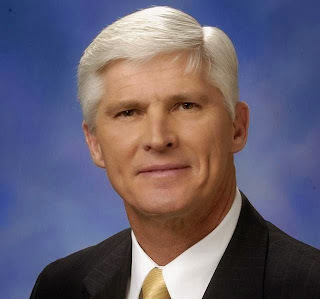 Michigan Republican National Committeeman Dave Agema, not content to limit his anti-gay remarks to Facebook, decided to go all in on how he really felt about gay people at a recent Republican meeting in West Michigan. He doesn't seem to understand that he's doing his pro-traditional marriage stance a serious disservice. Although I don't think that everyone who supports the one man, one woman form of marriage is a insane bigot Mr. Agema certainly seems to give credence to the idea promoted by the pro gay marriage side, that only bigots would want to limit marriage arbitrarily. Gov. Rick Snyder has added his voice to the chorus of criticism directed at Republican National Committeeman Dave Agema over his latest antigay remarks. Agema, in a speech at a Republican meeting in Berrien County on Thursday, said that gay people manipulate the system to get free health insurance because they are dying from AIDS at a young age. Agema cited his experience as a pilot with American Airlines, according to a transcript of his remarks published by the Herald-Palladium of St. Joseph and Benton Harbor. "I'm a flight attendant," Agema said. "You have AIDS. You come to me and say, 'Hey, tell them I'm your lover for the last six months.' You get on our health care. "American Airlines spends $400,000 before you die of AIDS. And he goes on to the next, and the next, and that's what was happening. "Folks, they want free medical because they're dying between 38 and 44 years old. It's a biggie. So, to me it's a moral issue. It's a biblical issue. Traditional marriage is where it should be and that is in our platform, so people that are opposed on that issue within our party are wrong." Media reports about Agema’s comments brought a storm of criticism and calls for Agema’s resignation. Last March, Agema came under fire for approvingly posting on Facebook an article that said gay people were sexually promiscuous, rife with sexually transmitted diseases and responsible for "half the murders in large cities." Agema says his remarks were taken out of context but that he stands by them. I'm not really seeing what the proper context should have been but even if his data were correct HIV is hardly a major issue among gay women. So by that standard Agema should then support lesbian marriage, which he certainly does not. I'm not sure his comments would be as shocking in West Michigan as they would be in Southeastern Michigan, which does tend to be slightly more socially liberal but the world is changing, even including West Michigan. There are gay folks even in West Michigan, despite what Agema might think. And I think people can tell the difference between someone who just believes in traditional marriage and someone who has an active dislike for gay people. Can the Republican Party win in 2014 and beyond with leaders talking like this?